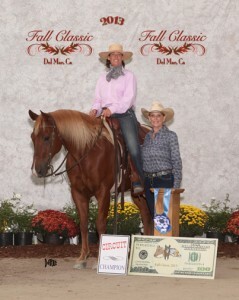 Robin Bond at PCQHA Fall Classic, with “I’ll Cowboy Up”. Robin Bond Equine has relocated. We are proud to announce that we have moved our operations to Deer Springs Equestrian Center. We are now operating in northeast San Marcos, at the corner of North Twin Oaks Valley Road and Deer Springs Road. The amenities at our new location are a big step up in many ways. Please contact us and stop by for a tour. We’d love to show you around. Friend Robin on Facebook and find the latest updates, video and news!